Neil Dean Doebbert was born January 16, 1940 to John and Elfrieda (Bielefeldt) Doebbert in Waumandee Township, Wisconsin. He was raised in Fountain City, Wisconsin and graduated from Cochrane High School, Class of 1958. Neil then served in the Army from 1963 – 1965. After his military service, he married Dorothy Zak on June 26, 1965 and they made their home in East Bethel. Neil was a member of St. Patrick Catholic Church in Oak Grove since 1976. He worked for Control Data for 25 years and then he owned his own lawn service, Doebbert Lawn, for 12 years in East Bethel. He retired from C&W Spinning in Maple Lake in 2002. Neil especially enjoyed playing with his grandchildren and watching their sports. His other interests included fishing, deer and duck hunting, bowling, golfing and he was an avid cribbage player. 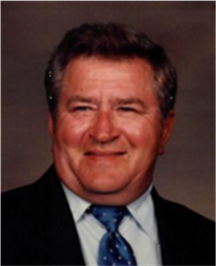 Neil Dean Doebbert died September 6, 2017 at his home in East Bethel at the age of 77 years, 7 months and 21 days. Besides his parents, he was preceded in death by an infant son, Mark; granddaughter, Marissa; 7 siblings, Leland, Ardythe, Stanley, Eunice, Harley, DeWayne and Rodney. Neil is survived by his wife of 52 years, Dorothy; 3 children, Doug Doebbert, Nancy (Jeff) Farrell, Vicki Dusterhoft; 6 grandchildren, Emily, Tom, Cody, Jasmin, Mathew and Abigail; 2 sisters, Iva Putz, Reathel Beisch; 1 brother, Gale Doebbert; and by many other relatives and friends. Funeral Wednesday, September 13, 2017 at 11:00 a.m.
Burial in St. Patrick Cemetery following Funeral Mass. After burial, lunch will be served in the Social Hall.